Great news for the meetings industry as well as the winner was Nizkocenovci, a company that developing the tech platform GoAvio for connecting low-cost flights with train and bus transport, giving users of big flight search engines, such as Skyscanner, options for cheaper transport! 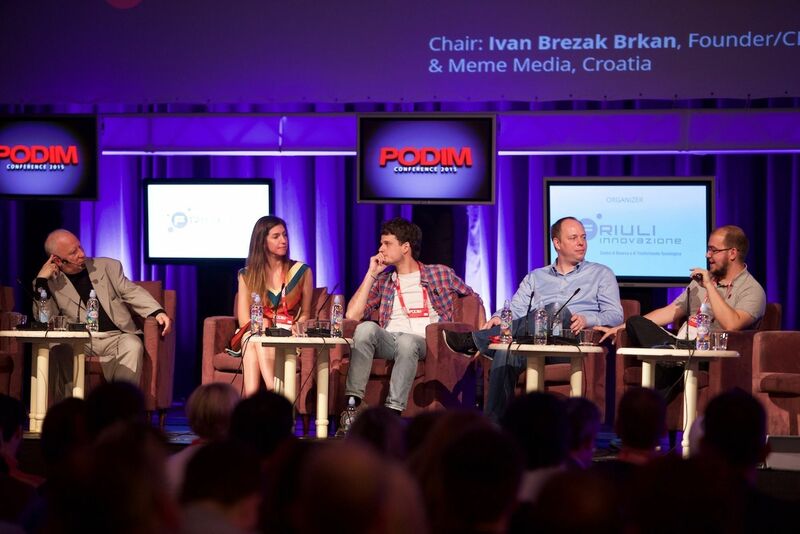 From 11 to 12 May 2016, Hotel Habakuk in Maribor hosted the 36th PODIM, the largest conference on start-ups, entrepreneurship and innovation in the Alps-Adriatic region. By bringing together over 600 people in the field of start-up entrepreneurship, the two-day educational experience was topped with some major networking opportunities and celebrations. The best Start-up of the Year award went to a company providing a new solution for more affordable transfer. The conference with more than 40 regional speakers and entrepreneurs from abroad revealed the disruptive forces that change all aspects of life and business and sometimes entirely turn around the way a society functions. After the conclusion of the formal motivational and educational programme of the first day, an award ceremony for the Start:up Slovenia competition was held.